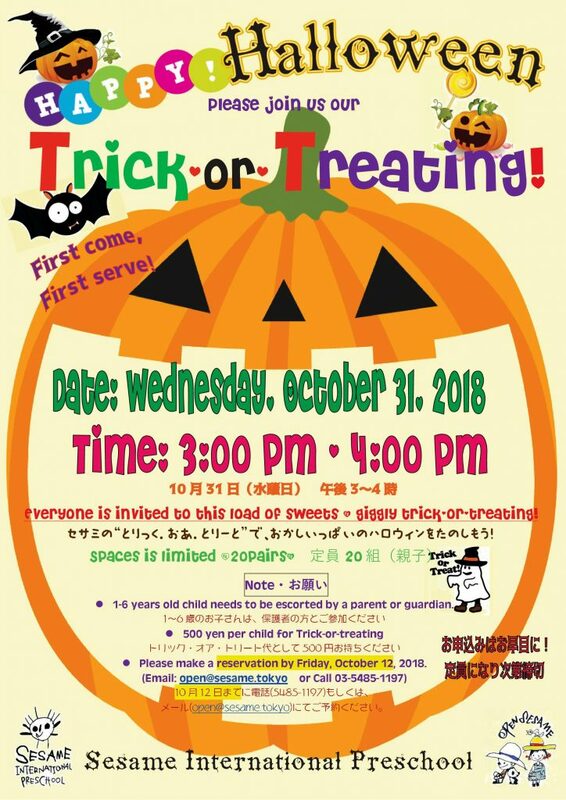 Halloween 2018 – “Trick-or Treating” | Welcome to Sesame International Preschool ! Our annual Halloween “Trick-or-Treating” will be held on Wednesday, October 31, 2018. Please make a reservation by call (03-5485-1197) or email (open@sesame.tokyo).